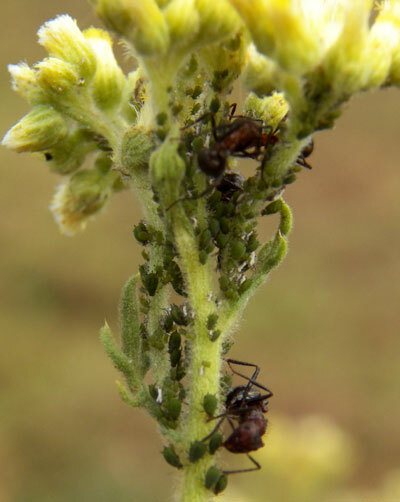 These ants are feeding on sap from growing points of Conyza schimperi near Eldoret, Kenya, January 2012. 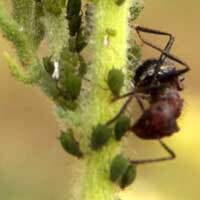 More often than not, aphids are closely guarded by ants seeking waste sugar. Sugar is a waste product because it is in abundance in plant sap, more than is needed. The ants help protect the aphids from their numerous enemies and may even carry them to safety during harmful weather events. 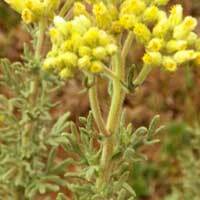 Clicking the thumb links at right will provide more information about the host plant and the protecting ants.